I haven’t enjoyed reading a novel this much for a long time! Gale finished reading The Unincorporated Man last week and passed it along to me. I took advantage of the shutdown day, holiday, weekend and storm day to make some progress in the story. I would highly recommend it to anyone with an interest in the impact of corporations on modern life. The incredible has happened. A billionaire businessman from our time, frozen in secret in the early twenty-first century, is discovered in the far future and resurrected, given health and a vigorous younger body. He awakens into a civilization in which every individual is formed into a legal corporation at birth, and spends many years trying to attain control over their own life by getting a majority of his or her own shares. Life extension has made life very long indeed. The Unincorporated Man is a provocative social, political, and economic novel that people will be arguing about for decades. And if you feel like arguing about it, comment on this post or go to their web site and blog and have your say! The day after Christmas in our house when I was growing up was always very special. Not many people in the U.S. are that familiar with Boxing Day, but I learned about it because we always treated the 26th as a special day. There is at least one person out there who knows why it is so special, and I hope he is enjoying this Joker’s Wild day. I had originally planned to wish everyone a Merry Christmas earlier today, but the day got away from me, somehow. We managed to get in a few walks and I got lost in a book. A fitting present this year. And I got to talk on the phone with some real live friends and relatives (which is always nice). Ran out of time again, as usual, so now it’s off to sleep. I hope you had a good day, too! This is Gale’s iPad posting on Don’s blog as an Editor. Easy! Will try updating a page (or adding one) later. I finally figured out that Invite only asks whether you want to start your own blog. In Chapter 12 of my Teach Yourself Visually WordPress book, I learned how to add a user to my blog. And I just discovered this morning (on sandboxesrus) that this functionality is different (and less robust) on .com than it is on .org. So I have added my wife as an editor to this blog (because I can) and as a contributor to sandboxesrus so we can get to the bottom (or to the top, to mix my metaphors) of the learning curve. Once I have this figured out, we can finally get Healing Pathways back on the rails. Update [1 Mar 2015]. Reviewing this post today I noticed that the link for the book no longer works. Reviewing the book, I also noticed that it is rather dated. So here is an image of the book I mentioned (the first edition) and a link to the current version of the book (the third edition). 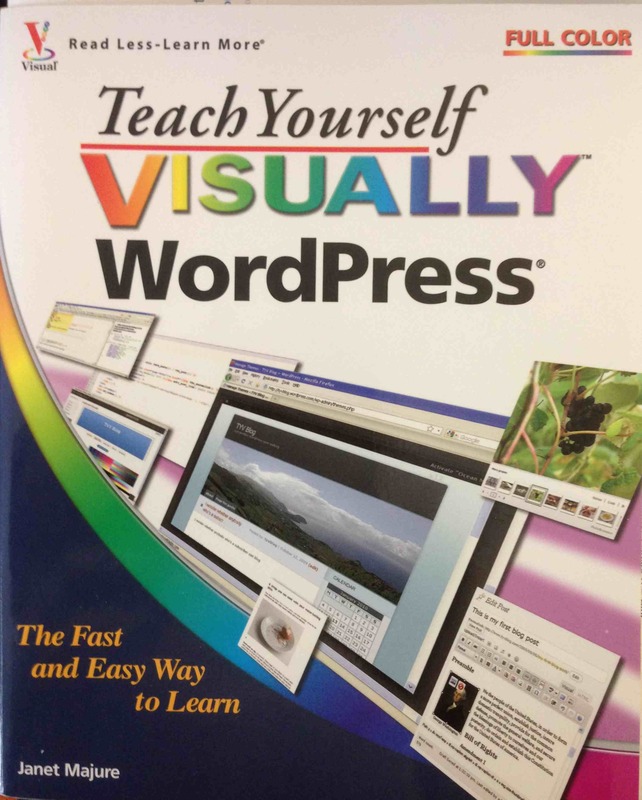 See my blog post for today [1 Mar 2015] for the book I am currently using to refresh my knowledge of WordPress. With the Winter Solstice nearly upon us, I would like to just wish everyone listening a happy holiday season. This is a really good time of the year to take stock and look back over the year that is ending. Savor the precious moments, ponder the meaning of your particular specific existence and gather your strength to move forward into the next year. My wife caught the spirit of the season perfectly in this photograph taken today. Happy Birthday, Dave! No, really.